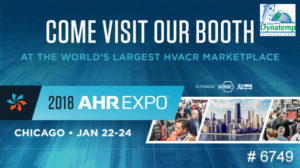 We are excited to attend the AHR Expo January 22nd-24th in Chicago. Stop by our booth and say “hello”. Our booth number 6749. We will be located at booth 1340. Click here for location information.